Iznik Lake is an important water supply deteriorating gradually due to anthropogenic pollution. Concentration and distribution of monoaromatic hydrocarbons (benzene, toluene, ethylbenzene and three xylene isomers; BTEX) were detected in the lake sediments using a static headspace GC-MS. ∑BTEX concentrations varied between 10.6 and 272.3 µg kg-1 dry weight (dw), with an average of 88.3 µg kg-1 dw. The light aromatic fraction of m-,p-Xylene was the most abundant compound (50.0% in average), followed by toluene (31.2%), o-xylene (12.2%), ethylbenzene (5.3%) and benzene (1.3%). 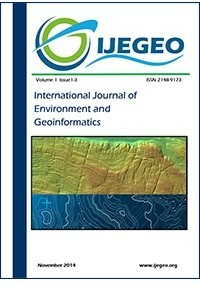 Multivariate statistical analyses indicated that the BTEX levels and their distributions were controlled mainly by morphological and textural features of the sediment; anthropogenic inputs transported by the surrounding rivers, mainly influenced by agricultural facilities; absorbance of BTEX compounds in sediment; and biodegradation processes. Due to lack of any national sediment quality guideline regarding BTEX, the results will establish a significant baseline that will shed light on the administrative authorities for formulating their rational environmental strategies. Akkoyunlu, A.A. 2003. Evaluation of eutrophication process in Lake Iznik. Fresenius. Environmental Bulletin, 12, 801-807. Arocha, M.A., Jackman, A.P., Mccoy, B.J. 1996. Adsorption kinetics of toluene on soil agglomerates: Soil as a biporous sorbent. Environmental Sciences & Technology, 30(5), 1500-1507. Budakoğlu, M.2000. Hydrogeochemistry of Lake İznik and Geostatistical Evaluation. PhD Thesis, İTÜ, 120. [In Turkish]. Farhadian, M., Vachelard, C., Duchez, D., Larroche, C. 2008. In situ bioremediation of monoaromatic pollutants in groundwater: a review. Bioresource Technology, 99, 5296-5308. Franz, S.O., Schwark, L., Bruchmann, C., Scharf, B., Klingel, R., Van Alstine, J.D., Çağatay, M.N., Ülgen, U.B. 2006. Results from a multi-disciplinary sedimentary pilot study of tectonic Lake Iznik (NW Turkey) – geochemistry and paleolimnology of the recent past. Journal of Paleo limnology, 35, 715-736. Franz, S.O., Ülgen, U.B., Döner, L., Çağatay, M.N. 2007. Paleoclimatic changes during the Late Holocene recorded in sediments from Lake Iznik (NW Turkey). 4th International Limnogeological Congress, ILIC2007, Limnogeology: tales of an evolving Earth, Cosmocaixa, Barcelona, Spain. Programme and abstract book: S15-O5, 85-86. Gomes, A.O., Azevedo, D.A. 2003. Ali-phatic and aromatic hydrocarbons in tropical recent sediments of Campos dos Goytacazes, R.J. Brazil. Journal of the Brazilian Chemical Society, 14, 358-368. Hecky, R.E., Campbell, P.L., Hendzel, L. 1993.The stoichiometry of Carbon, Nitrogen, and Phosphorus in particulate matter of lakes and oceans. Limnology and Oceanography, 38(4), 709-724. Meyers, P.A., Ishiwatari, R. 1993. Lacustrine organic geochemistry—an overview of indicators of organic matter sources and diagenesis in lake sediments. Organic Geochemistry, 20:867-900. Öztürk, K., Ünlü, S., Alpar, B., Vardar, D. 2007. Hydrocarbon pollution in sediments from Lake Iznik (Turkey), determined by fluorescence technique. General Assembly of the European Geosciences Union 2007, Geophysical Research Abstracts, 9, EGU2007-A-03882, HS25-1TH3P-0261. Öztürk, K., Yaltirak, C., Alpar, B. 2009.The relationship between the tectonic setting of the Lake İznik Basin and the middle strand of the North Anatolian Fault. Turkish Journal of Earth Sciences, 18(2), 209-224. Readman, J.W., Fillmann, G., Tolosa, I., Bartocci, J., Villeneuve, J–P., Catinni, C., Mee, L.D. 2002. Petroleum and PAH contamination of the Black Sea. Marine Pollution Bulletin, 44, 48-62. Reinhard, M., Shang, S., Kitanidis, P.K., Orwin, E., Hopkins, G.D., Lebron, C.A. 1997. In situ BTEX biotransformation under enhanced nitrate- and sulphate-reducing conditions. Environmental Sciences & Technology, 31(5), 1580-1580. Roeser, P.A., Franz, S.O., Litt, T., Ülgen, U.B., Hilgers, A., Wulf, S., Wennrich, V., Akçer Ön, S., Viehberg, F.A., Çağatay, M.N., Melles, M. 2012. Lithostratigraphic and geochronological framework for the paleo environmental reconstruction of the last ∼36 ka cal BP from a sediment record from Lake Iznik (NW Turkey). Quaternary International, 274:73-87. Sei, A., Fathepure, B.Z. 2009. Biodegradation of BTEX at high salinity by an enrichment culture from hypersaline sediments of Rozel Point at Great Salt Lake. Journal of Applied Microbiology, 107, 2001-2008. Ünlü, S., Alpar, B. 2016. An assessment of trace element contamination in the freshwater sediments of Lake Iznik (NW Turkey). Environmental Earth. Sciences, 75, 140-154. Ünlü S., Alpar B. 2017. Evaluation of sediment contamination by monoaromatic hydrocarbons in the coastal lagoons of Gulf of Saros, NE Aegean Sea. Marine Pollution Bulletin, 118; 442-446. Ünlü S., Alpar B., Öztürk K., Vardar, D. 2010. Polycyclic Aromatic Hydrocarbons (PAHs) in the surficial sediments from Lake Iznik, Turkey: Spatial distributions and source. Bulletin of Environmental Contamination and Toxicology, 85 (6), 573-580. Wang, Z., Fingas, M.F. 1998. BTEX quantitation in oils by GC/MS. In: Encyclopaedia of Environmental Analysis and Remediation, Meyers, R.A., Ed., John Wiley and Sons, New York, 829-852. Yunker, M.B., Macdonald, R.W., Vingarzan, R., Mitchell, R.H., Goyette, D., Sylvestre, S. 2002. PAHs in the Fraser River basin: a critical appraisal of PAH ratios as indicators of PAH source and composition. Organic Geochemistry. 33(4):489-515.